Viktor Schreckengost, an industrial designer, lived to be 101 years old. Many aspects of modern American life was touched by the millions of items manufactured from Schreckengost designs, from dinnerware, bicycles, and children's pedal cars to printing presses and a radar recognition system for the U.S. Navy. 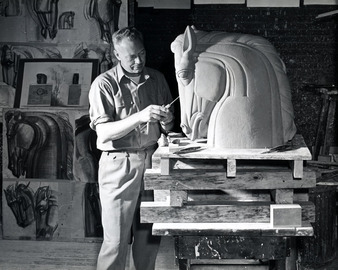 He was also an accomplished potter, painter and sculptor, noted for his iconic Art Deco ceramic Jazz bowls of the 1930s.